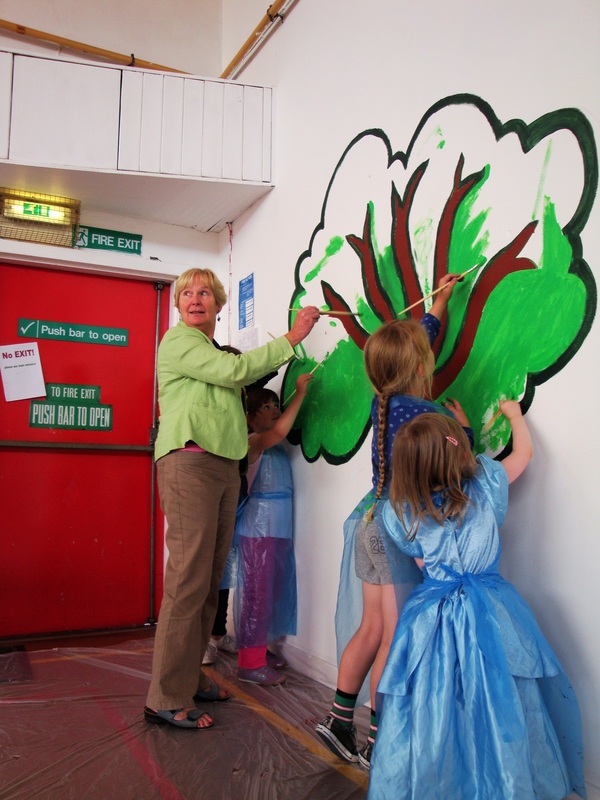 Children attending summer activities at the Community Wing spent their last week producing a magnificent mural on the gym wall. The idea was the brainchild of the Youth Leader at Fort, Caithlin Bell, who managed to enlist the knowledge and know-how of Gemma Coyle, one of Scotland’s young artists of the year , who currently works at the Scottish National Gallery. Between them, and some willing parents, they produced a mural depicting all things connected with Fort through the ages. These included the Fort itself, a Soldiers Cartoon, Leith Coat of Arms, the Hippo Bin and a number 21 Bus! When I visited the project, the children were very enthusiastic, and it was a joy to see such excitement for the whole project. I’m quite sure I met many talented young people who’ll become the artists of the future.